If you’re on the hunt for a selection of top-notch used cars in Milwaukee, you may be wondering where the ideal place to shop for vehicles is. With so many different car dealers in the Milwaukee area, determining which of them can provide an exceptional buying experience you need can be tricky. No matter what sort of car, truck or SUV you’re interested in taking home - there are a few criteria that you can use to tell a top local Ford dealer in Milwaukee apart from the rest. Of course, the selection of new and used vehicles that a dealership carries is a good place to start. In order to find vehicles that will be the right match for you and your family, it’s important to locate a Ford dealer near you that carries a wide range of the hottest selling new and pre-owned vehicles on the market. While a vast array of excellent vehicles is important, it’s not the only thing you should look for when searching for a top notch place to buy used cars in Milwaukee! Another vital thing to consider is the quality of service you will receive at a dealership. Without high customer service standards, it can be very challenging to find the ideal car, truck or SUV no matter how comprehensive a dealer’s inventory is. When you need a Ford dealer in Milwaukee that offers the best of both worlds - with plenty of outstanding vehicle options to browse and a team of friendly car experts to help you shop - look no further than Ewald Venus Ford! At our dealership, we’re committed to providing the highest caliber of service to be found at a Ford dealer near you. Whether you’re a first-time shopper who needs an affordable used sedan or an experienced car buyer looking for a top of the line Ford SUV - we’ll be glad to help you find just what you need. While new cars definitely come with certain perks, the higher cost of buying new can make it hard for many buyers to justify this option. Just because a new car doesn’t make sense for your financial situation, doesn’t mean that you can’t get your hands on an excellent and feature packed vehicle! Many shoppers have great success when choosing to buy a used car here at Ewald Venus Ford. Our used inventory includes the full lineup of Ford cars, trucks and SUVs as well as many pre-owned vehicles from some of the top selling brands in the country. You can stretch your budget further while enjoying a premium ride when you shop the selection of used cars for sale at Ewald Venus Ford! You may have decided that a used car is the right pick for you, but are still stumped about which make and model to choose. Determining which sort of used vehicle makes the most sense for your needs and budget is easy at Ewald! If you need a dependable ride that is built to last, then you can’t go wrong with one of our many Ford used cars. As one of the oldest and most respected names in the American car industry, Ford has a long-standing reputation for producing exceptional vehicles that offer unparalleled value. With a used Ford car, truck or SUV by your side - you’ll be ready for whatever the road might bring. 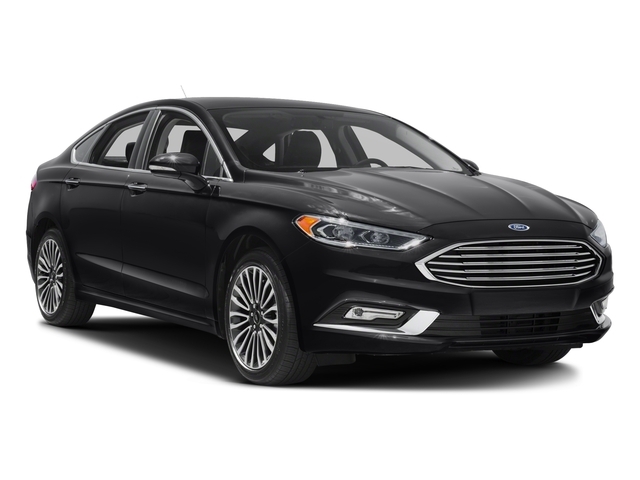 For those looking for an affordable yet stylish used sedan, the Ford Fusion is a top-notch pick that is sure to satisfy all sorts of driving needs. With capable I4 engines under the hood, these sedans offer a nice mix of driving performance and fuel efficiency. You’ll have plenty of power at your fingertips to handle highway driving while saving cash at the gas pumps. The used Ford Fusion is a top pick among commuters who want an attractive ride that comes loaded with convenience and comfort features. Available leather seats give the interior a refined look, and they make keeping your seats clean a breeze! A host of technology features are available to enhance your driving experience and make your commute fly by. With the Ford SYNC audio system, it’s a snap to pair your mobile devices for streaming music and taking hands-free calls. Get more from your car budget with one of our used cars in Milwaukee at Ewald Venus Ford. After you’ve decided on the perfect new or used ride for you and your family to enjoy, it’s vital to ensure that your investment stays protected. Ask any experienced car owner, and they’ll say that keeping your car maintained is the key to preserving its resale value and ensuring that it's by your side for many years to come. Here at Ewald Venus Ford, we have a fully equipped Ford service center that can handle all of your car care needs with ease! Our Ford certified service technicians have the skills and know-how needed to provide you with top quality car care and repairs in a timely manner. We know that with your busy routine, it can be tough to find the time to bring your car in for service. That’s why we make it as simple as can be to schedule a service appointment online that fits in with your schedule! Get the quality Ford car service you need at your Ford dealer near Milwaukee, Ewald Venus Ford!